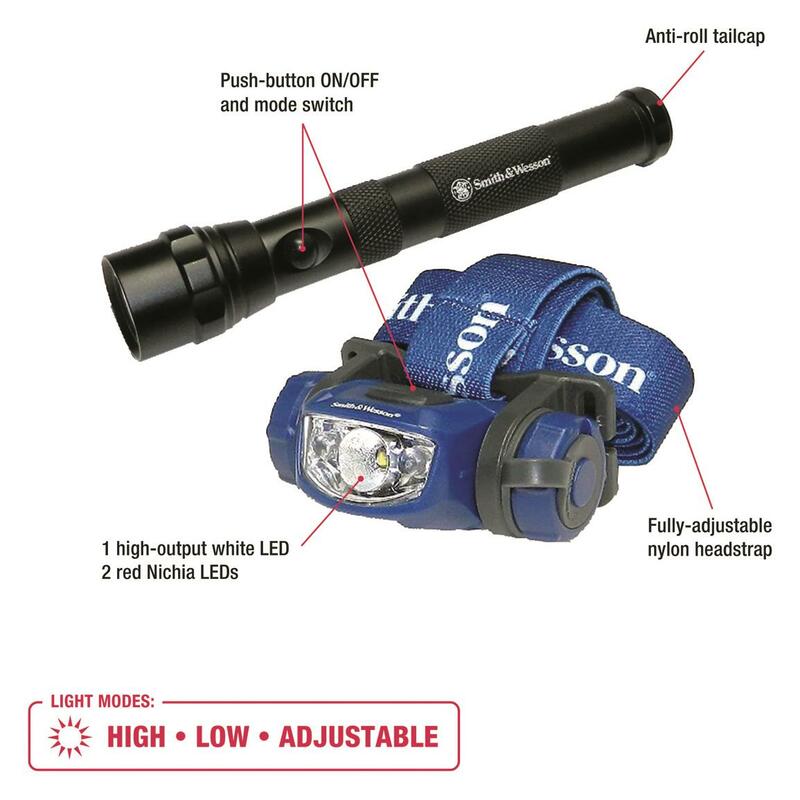 Get two great lighting options backed with one great name. With a name like Smith & Wesson®, you know you're getting a quality product worth the name. 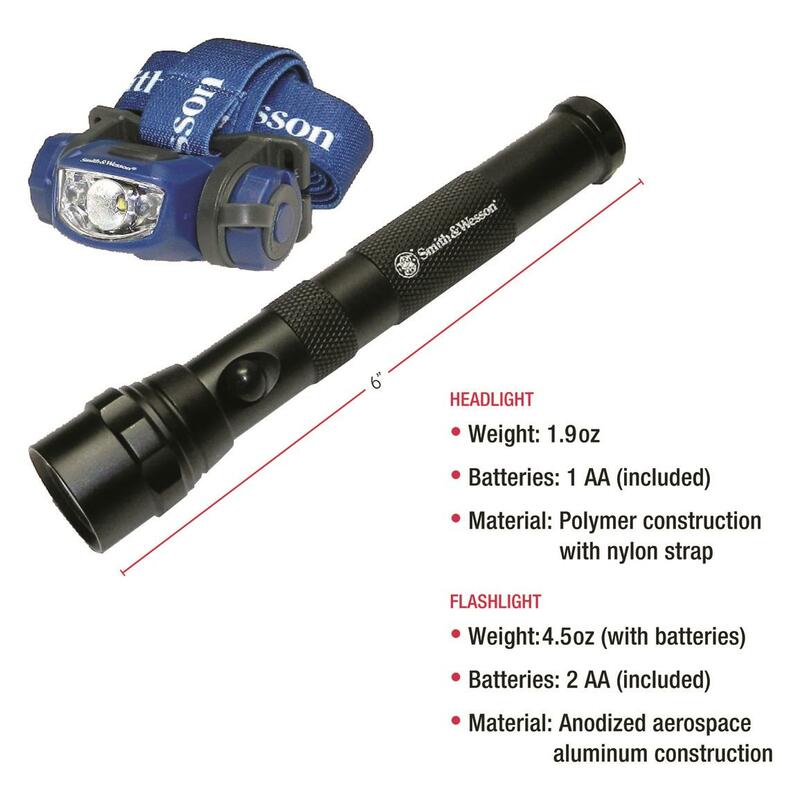 This 2-in-1 Explorer Pack lighting combo gives you two great lighting options made to withstand your outdoor lifestyle. 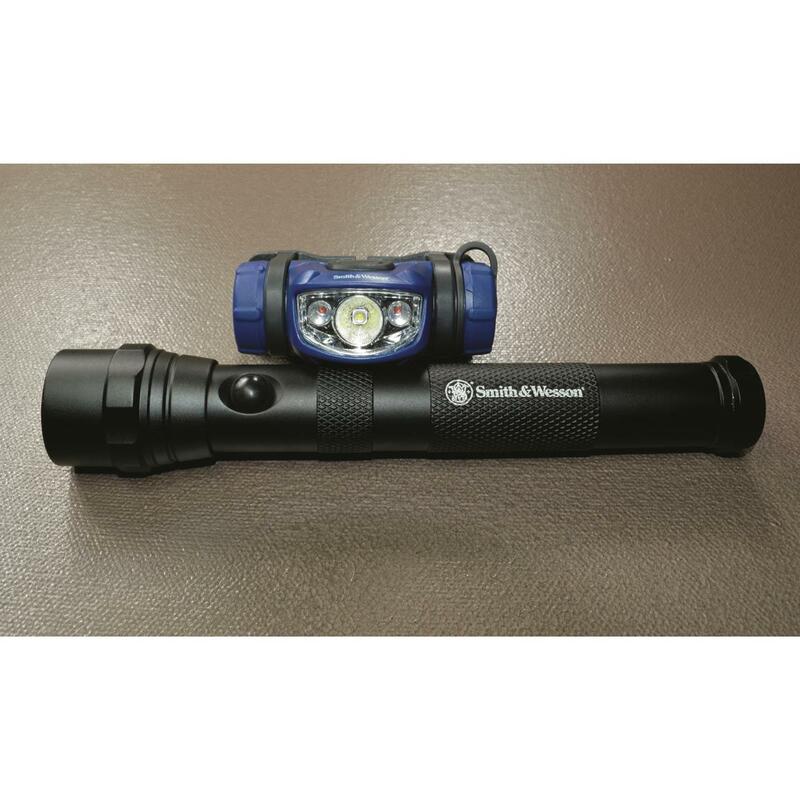 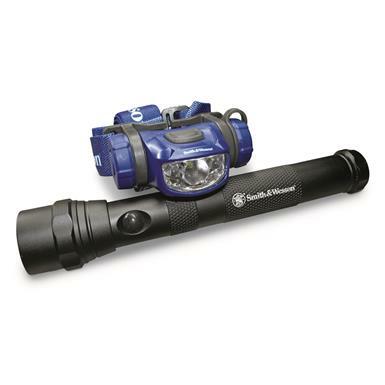 The highly indestructible LED Flashlight illuminates up to 129 lumens in a pocket-sized design. 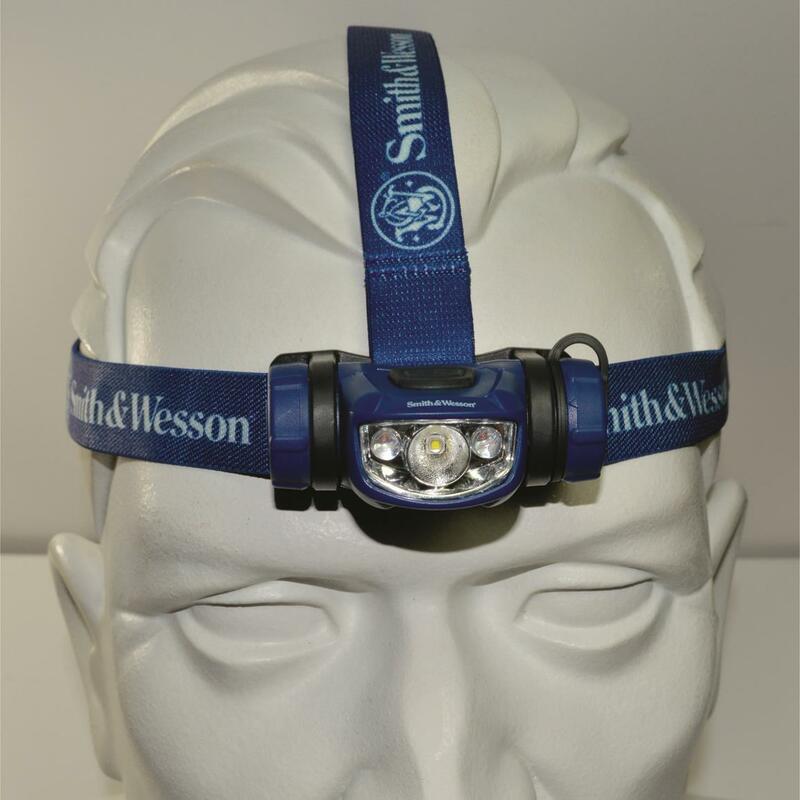 Or wear the Cree headlamp to provide task lighting at 97 lumens. 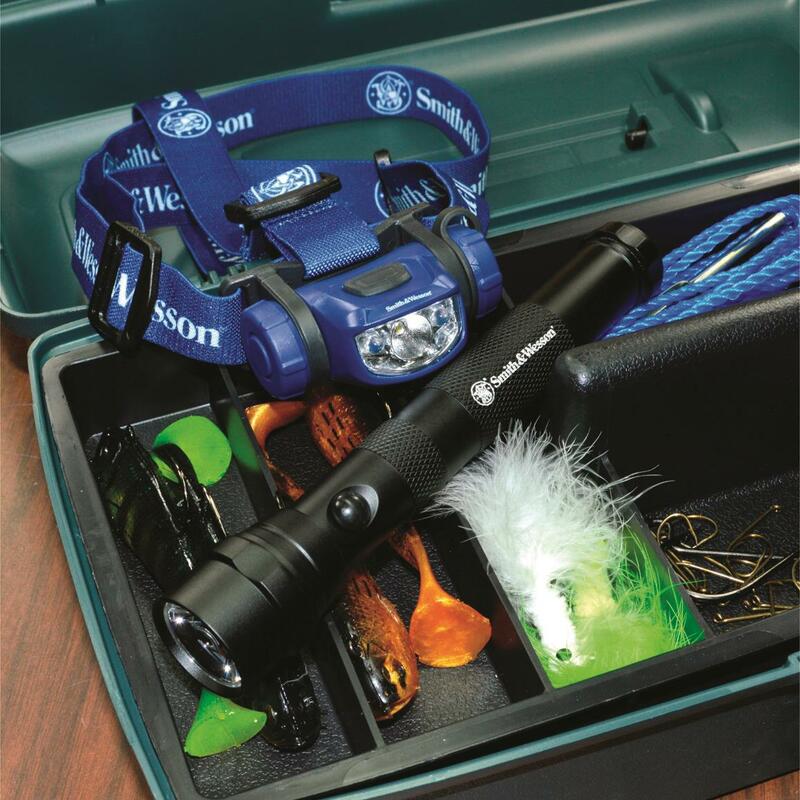 Either way, they both provide necessary lighting for your time on the trail, or in the boat.